Today is Tuesday, February 7, the 38th day of 2017 in the Gregorian calendar, with 327 days remaining. 1,443 days until the end of Donald Trump's term as President, assuming he isn't impeached. 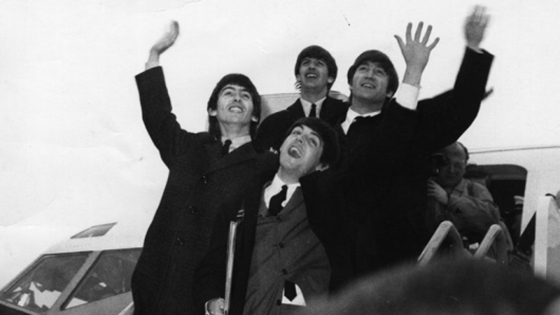 On this date in 1964, The Beatles arrived in New York City. Two days later, Paul McCartney, age 21, Ringo Starr, 23, John Lennon, 23, and George Harrison, 20, made their first appearance on the Ed Sullivan Show, a popular television variety show. Although it was difficult to hear the performance over the screams of teenage girls in the studio audience, an estimated 73 million U.S. television viewers, or about 40 percent of the U.S. population, tuned in to watch. Among other things, today is also "e" Day. The number e is a famous irrational number, and is one of the most important numbers in mathematics. It is often called Euler's number after Leonhard Euler (pronounced "oiler") and is the base of the natural logarithms invented by John Napier. Florida Attorney General is not amused by Trump-branded heroin. Laura Ingalls Wilder (1867-1957), American writer known for the Little House on the Prairie series of children's books. Health scare of the day: Here's why pregnant women should avoid eating licorice. Uber hires veteran NASA engineer to develop flying cars. Drat. Still no personal jet packs. If you thought Lady Gaga’s halftime show was apolitical, consider the origin of ‘This Land is Your Land’. The original Woody Guthrie version of the song included a line about a "big high wall there that tried to stop me." Scientists find first observed evidence that our universe may be a hologram. "Imagine that everything you see, feel and hear in three dimensions (and your perception of time) in fact emanates from a flat two-dimensional field. The idea is similar to that of ordinary holograms where a three-dimensional image is encoded in a two-dimensional surface, such as in the hologram on a credit card. However, this time, the entire universe is encoded." And here we are without our 3-D glasses. Here are the cheapest smartphone plans in the United States. It's a good idea to check with friends using the carriers mentioned to check on the quality of local service. A cheap phone isn't of much use if it can't get a signal. You can cook almost any grain like popcorn. And who wouldn't love some hot buttered popped millet?